I can’t quite believe that Alice has been going to school for seven months and that we’ve come to the end of her second term. The time has literally flown by and we’ve got ourselves into a nice routine each week. I think that is what makes the week’s go by so fast, because every week is the same. One thing that is not the same, is Alice. I can’t believe how much my little girl has changed in this time and how far she has come. She has always been a confident, friendly, capable girl. But going to school is a big thing and you never quite know how they are going to get on, if they are going to make friends and if they are going to learn anything. 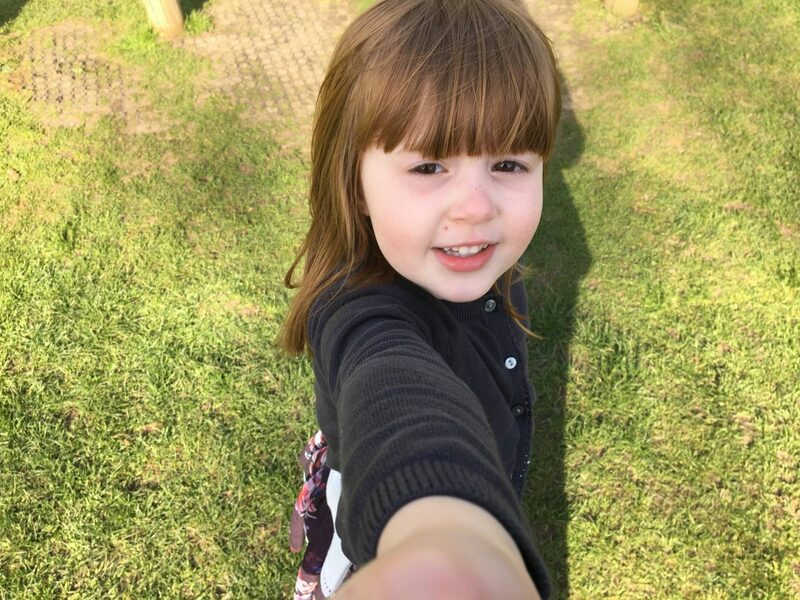 I know from listening to Alice, watching her at parties and because she has been invited on playdates, that she has made friends and they are lovely girls. I also know how far her reading and writing has come on because I get to see it at home. But, it’s not until you hear it from the teachers themselves that it really sinks in and you believe it. It’s like even now as an adult you are wanting that I am wanting that tick in the box from the teacher! This week we had parents evening and Andy and I nervously made our way to school. As we waited outside, we had a chance to look through her learning books and it was lovely to see all the pictures and the notes that the teachers had written about our little girl. As we sat down with her teacher and we listened to her talk about our little girl. I could have cried I was so proud of her. She said that she was completely unrecognisable from the little girl that walked through the door not knowing anyone. That she is very sociable, has made friends with lots of children. That she is very polite and helpful. Always the first to help someone if they have lost something. Or helping them with their zips at PE. That she achieving so well academically, as one of the youngest in her class you wouldn’t know it. My smile getting bigger and bigger as she spoke. My heart was aching, I was so proud to hear her talk about my little girl. I get quite emotional whenever anyone says something nice about my girls, because of course whilst I adore them and love them unconditionally. Even when I’m pulling my hair out! But when other people see the qualities in them too, it melts my heart and for a few minutes I think to myself maybe I’m not doing a bad job. Alice is now on Easter Holidays for two weeks and I can’t wait to soak her up and enjoy having my girls together for two whole weeks. I will always be the mum that doesn’t dread the school holidays, that lives for these weeks where we are all together. Awww she is indeed doing really well, I too had a parents evening for our son and I too was very proud. It’s amazing how much they come on once they start school! Oh that’s lovely, I’m really glad the parents evening went so well, it’s fabulous that she has made you so proud.